Looking for a Used 4 Series in your area? 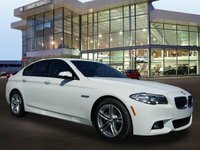 CarGurus has 10,624 nationwide 4 Series listings starting at $12,500. Driving a performance sedan is the perfect compromise between the thrill of driving and everyday practicality, but it’s just that—a compromise. When you truly want a driver-centric experience every single day, there’s nothing quite like a 2-door coupe. 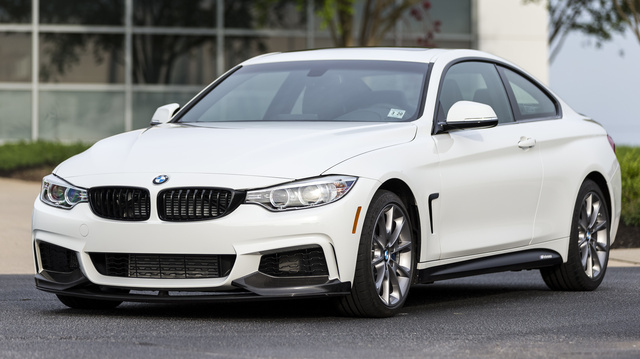 BMW has long known this with the 3 Series coupe and convertible, but in 2014 BMW made a polarizing move by spinning the 2-door 3 Series models into their own franchise, now known as the BMW 4 Series. Why would BMW do this? BMW looked to rivals such as Audi, where the A5 coupe exists as a separate model from the A4 sedan. Where the practice of putting coupe and sedan versions under the same model line forces the automaker into decisions that might compromise the attributes of its products, the standalone model allows each version of the car to grow in ways that are more perfectly suited to its buyers. What does that mean for the prospective 4 Series customer? A range of coupes and convertibles that place emphasis on the driver and front passenger above all else. The 4 Series can be had as a hardtop coupe for an optimal focus on driving or as a retractable hardtop convertible, allowing you the pleasure of open-air driving. And the 4 Series has indeed grown, compared to its 3 Series coupe predecessor. Its wheelbase is almost 2 inches longer, and more than 3 inches have been added to the width of the rear track. The roof of the coupe is also lower and longer. The result is a more dramatic coupe appearance. The convertible top is a piece of mechanical wizardry, opening or closing in just 20 seconds at speeds up to 11 mph. It features integrated lighting and insulation to cancel out road noise, so top-up driving feels like you’re behind the wheel of a hardtop coupe. The choice by BMW to use a retractable hardtop also means you’ll enjoy protection from the elements, no matter the weather or time of year. The BMW 4 Series is available as the 4-cylinder 428i and the 6-cylinder 435i. Both offer the combination of performance and fuel economy that every driver wants. The base 428i features a 2.0-liter 4-cylinder turbocharged engine making 240 hp. Move up to the 435i and you’ll get the 3.0-liter turbocharged straight six, delivering 300 hp. Power is sent through an 8-speed sport automatic transmission, which features Sport and Manual shift modes. It is then routed to rear-wheel drive (RWD) or available xDrive all-wheel drive (AWD). A 6-speed manual transmission is available, but only on the RWD version of the 428i coupe and 435i models equipped with RWD or xDrive AWD. 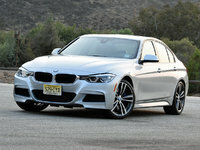 BMW 428i models will get as much as 42 mpg highway, while the 435i gets 31 mpg highway in RWD models. The 4 Series features an interior that appears mechanical and cold at first, but upon further review you can see the flowing lines of the dash and center console. A crease that runs from the right passenger side climate-control vent deviates upward to cradle the iDrive screen, which extends from the center of the dash. The iDrive system is controlled by a center-console dial that also features a touch-sensitive pad. This pad recognizes gestures, including letters, so a driver can simply “draw” the name of a destination for the nav system or a contact in a Bluetooth-connected phone. There is a third body style of the 4 Series that's so different and mold-breaking that it requires and deserves its own section to describe it. The 4 Series Gran Coupe may have 4 doors, but don’t call it a sedan. Despite its quartet of doors, the Gran Coupe has the curvaceous hood and sloping rear window of the coupe. The pessimist will see a sedan with poor headroom in the back, but the optimist will look at the Gran Coupe as a 4 Series coupe that won't require you to squeeze past the front seats to sit in the back. Like the coupe, it's capable of 0-60 in 4.7 seconds when equipped with the turbocharged straight six. Unlike the standard coupe, it features 45.9 cubic feet of storage space. It offers an incredible combination of speed, style, and everyday practicality. When selecting a 4 Series model, always know that you get to choose one of two paths. The Luxury package adds features like Dakota leather seats with lumbar support and SiriusXM satellite radio and also offers a choice of several different premium wood or aluminum finishes. Meanwhile, the M Sport package adds an M-inspired aerodynamic body kit, M Sport steering wheel, and M Sport suspension. An Adaptive M Suspension is available and further enhances the driving experience. Base MSRP for a 2016 BMW 428i Coupe is $41,850. A 435i Coupe starts at $48,150. Getting into the Gran Coupe starts at $41,640, while the base convertible will set you back exactly $50,000. Start ticking options off and the price can climb past $70,000. BMW split off the 4 Series into its own franchise in order for the coupe, convertible, and Gran Coupe to embody more of the passion of driving. With a wide array of options and packages and three body types to choose from, the BMW 4 Series packs that passion in ways that can suit many different drivers. What's your take on the 2016 BMW 4 Series? 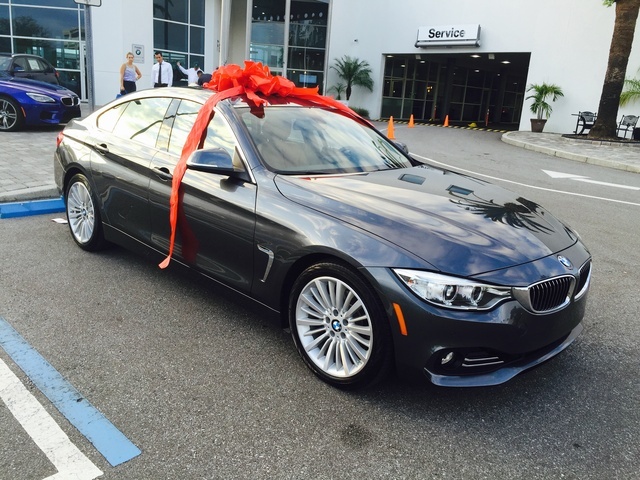 Have you driven a 2016 BMW 4 Series? What Is The Name Of This Part And Where Can I Buy A Replacement? Hello and Happy Thanksgiving Gurus, listed a 2016 428i, but the engine options don't show automatic only manual. What am I missing here?